This past week has been a hectic week. Since SquareWear 2.0 got posted on Hack A Day, things have gone quite wild: we’ve got hundreds of orders, and the SquareWear YouTube video accumulated 80,000 views in just two days. By the end of last week, it has exceeded 100,000 views and has officially become the most popular video at the my YouTube channel. Among the many emails I received, one common question is what can one use SquareWear for other than the examples demonstrated in the video. Well, at heart SquareWear 2.0 is really just a small Arduino with lots of built-in components (notably built-in rechargeable battery and USB port). 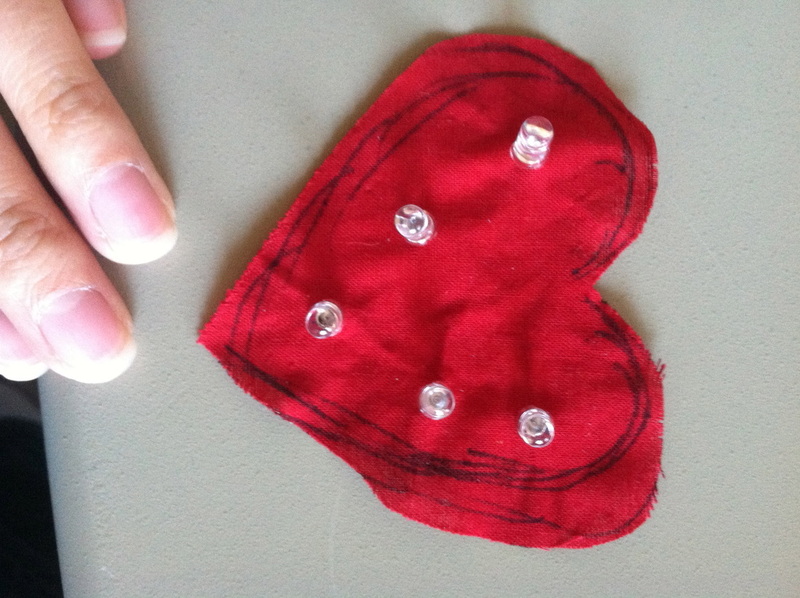 The large pin pads make it suitable for wearable electronics projects, and the small size makes it suitable for general-purpose microcontroller projects. For example, I’ve used SquareWear to build a reflow oven controller, a OpenSprinkler Pi tester, a USB-based remote for RF power sockets. It’s really versatile. 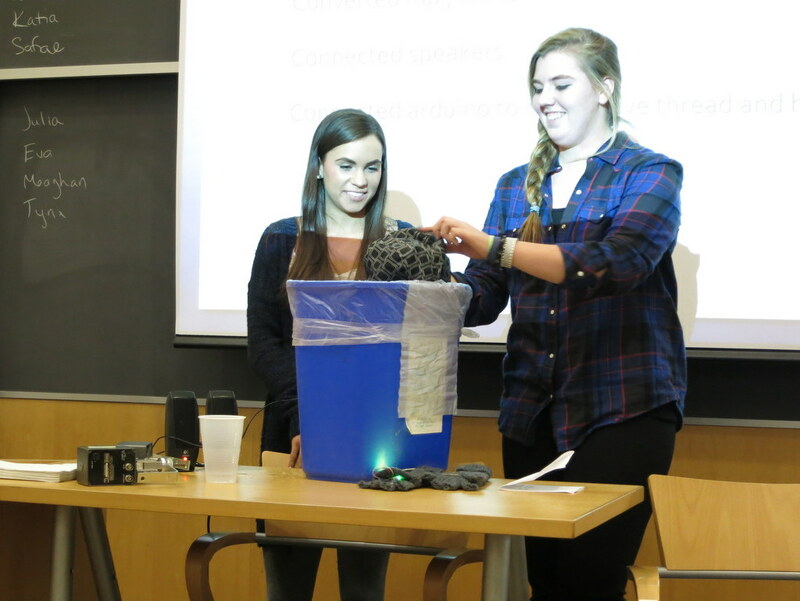 If you are looking to make some artistic projects, you will be glad to hear this: SquareWear 2.0 was used at the Mount Holyoke College for their iDesign Studio Class. This class was offered by my friend Audrey Lee last semester, and they’ve just concluded the class last month with a fantastic final presentation. I am going to highlight some of the best projects below. For additional information, check the link above — each project has a website with detailed write-up. I am sure they will inspire you to come up with your own fantastic project idea. 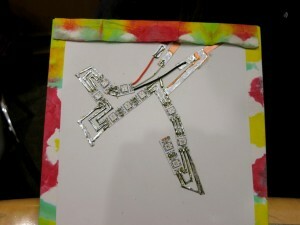 One of my favorite is the Accelexpression project by Madeline Ketley. She combined a SquareWear with a gyro sensor and NeoPixel LED strip to make a smart skirt for dancers. 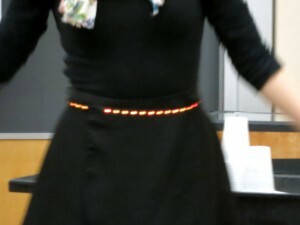 The LED strip displays different colors depending on the standing position of the dancer. It is not only artistic and visually beautiful, but it’s a very useful tool for training dancers: from the color of the LEDs you can easily tell if the dancer is standing straight, or if two dancers are synchronized in their moves. It’s a brilliant idea and I was completely impressed. Here are some rather blurry pictures. I wish I had taken high-quality pictures or even better a video! Another favorite of mine is Meaghan Sullivan’s Reading Hardwired. Meaghan made a hand-drawn picture book featuring a timid and cute cameleon. She then combined a SquareWear, copper sheets, some neopixels, and photo-resistors to make the picture book change colors as you turn the pages. It’s so artistic, vivid, and truly brilliant! 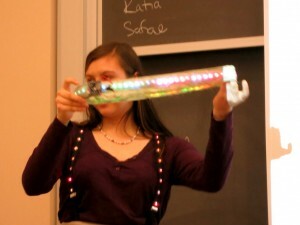 Neopixels seems to be a big hit among students. 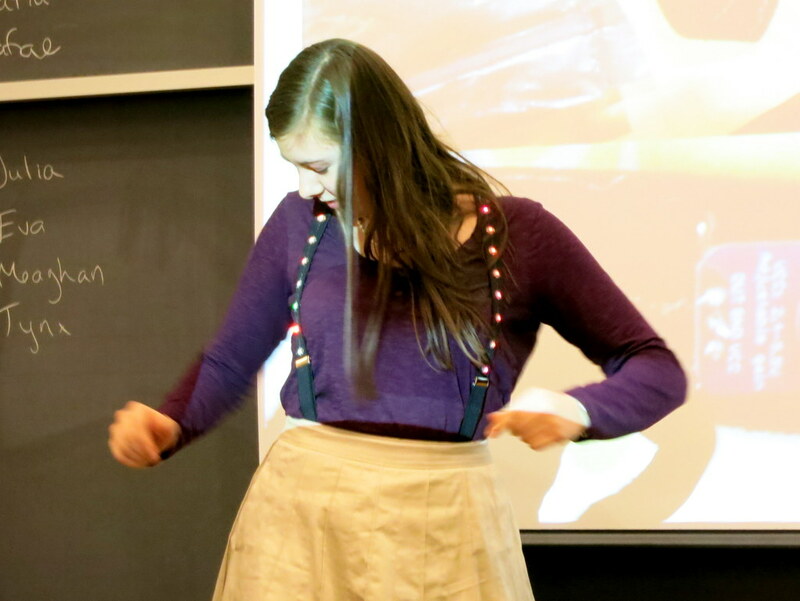 Alexis Andrus used strips of Neopixels to make a beatuful iDesign Jacket; Ione Brogna also used Neopixel strips to make iTech Accessories, such as these stylish shoulder straps belts. 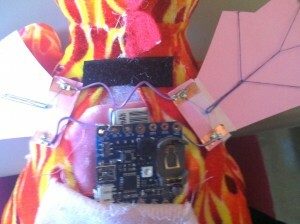 Ione also added a sound sensor to SquareWear and made her iTech accessories respond to music and beats. 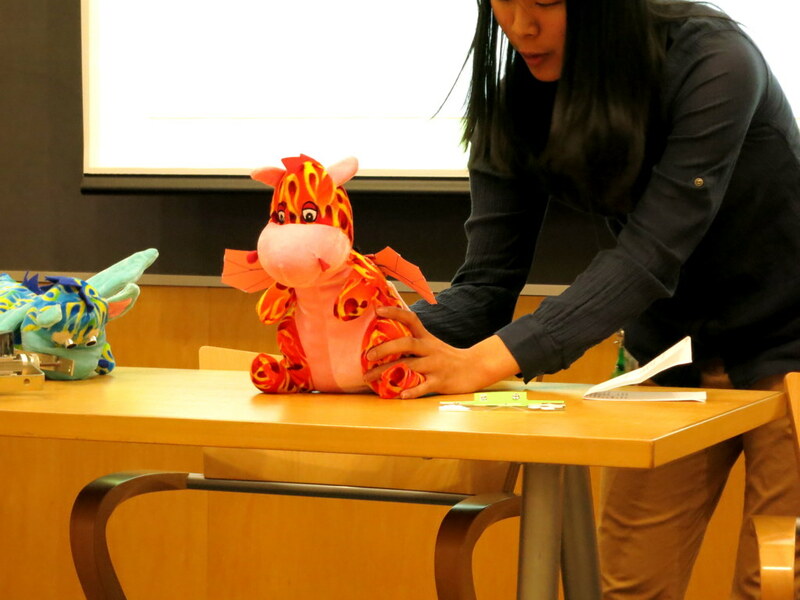 Next up, with Julia Rycyna’s La Coeur du Dragon project, we enter the fantasy land of dragons. She first made a plush dragon with flapping wings using a SquareWear and some muscle wires. 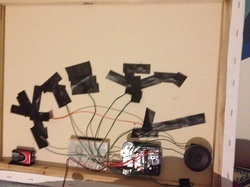 Thanks to the build-in MOSFETs on SquareWear, no external muscle wire drivers were needed. 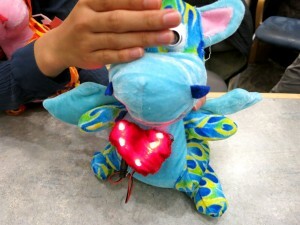 Then she added a ultrasonic distance sensor and a LED heart to the dragon, so that the heart blinks faster as you approach the dragon. Quick, hold it tight, how can you bear with putting such a lovely dragon down! 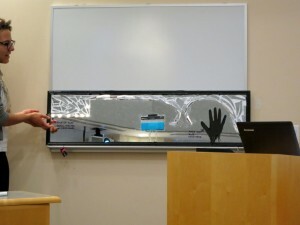 Safae Lahgazi Alaoui presented an amazingly artistic project called the Interactive Mirror. The mirror is decorated with LEDs and responds to sound, touch, and motion. Check the images below and appreciate the complexity of the mirror. 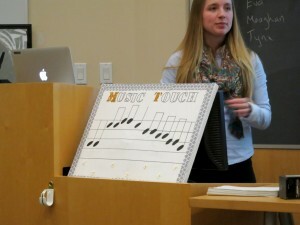 Eva Snyder’s musicTouch project is a great educational tool to teach kids about music and tones. 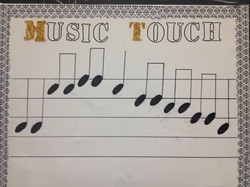 It uses conductive ink and touch sensing to let you play music interactively. 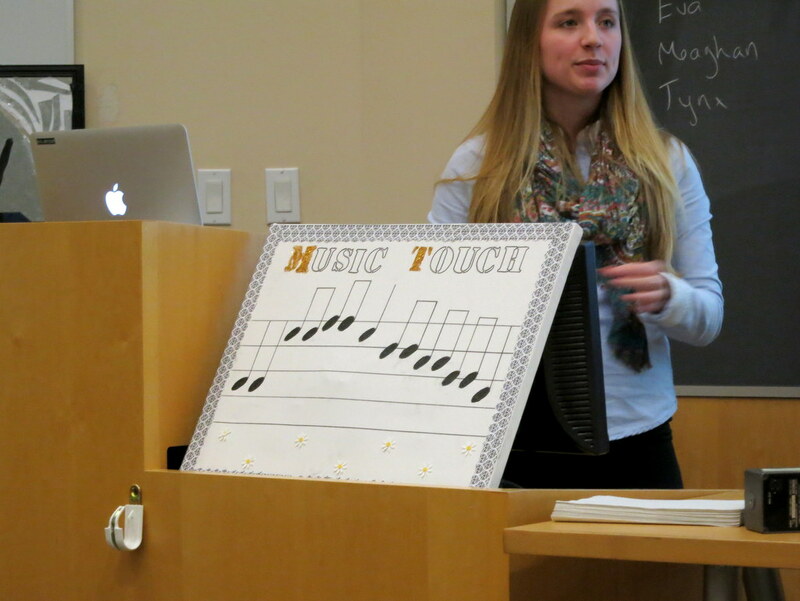 If you are interested, be sure to check out my previous blog post about how to use SquareWear to create a touch-based digital piano without any additional hardware. 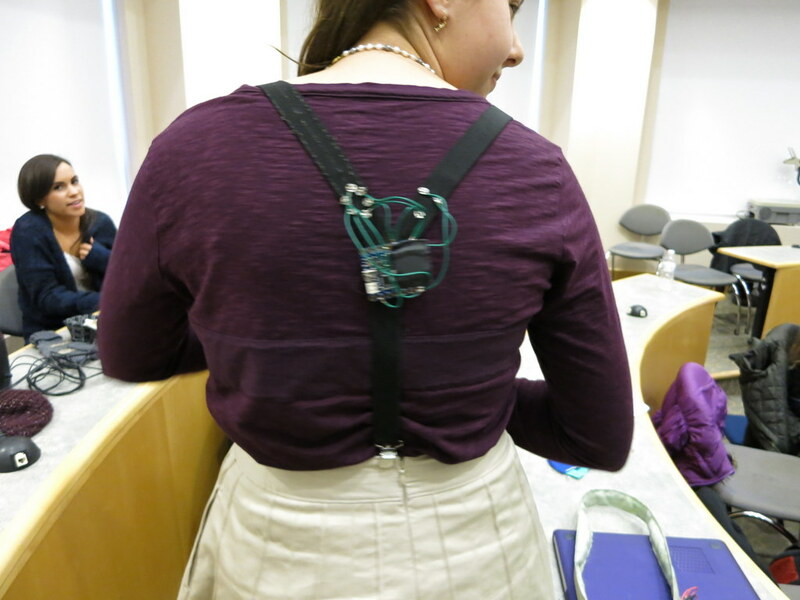 Thinking of some other creative uses of SquareWear? 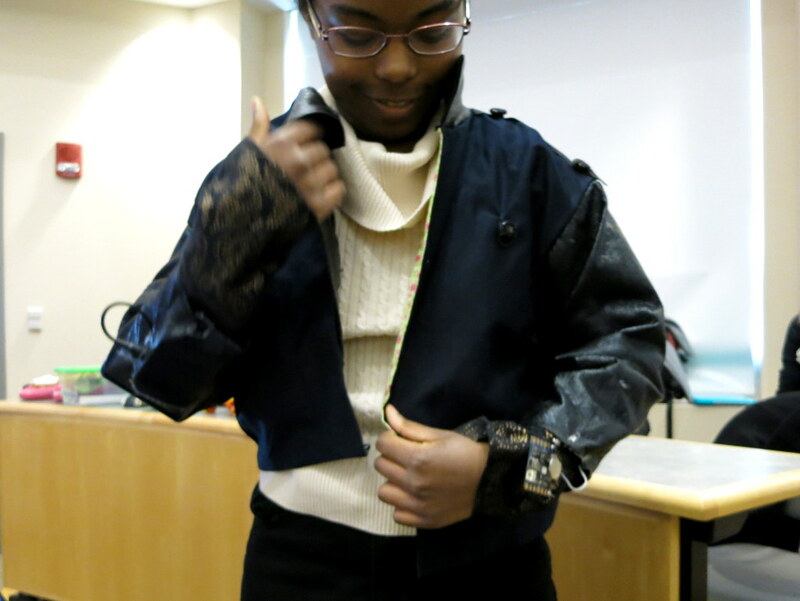 Saadia Gabriel made a solar charging jacket called The Turtle? 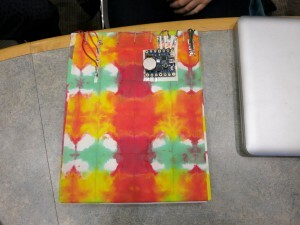 It makes use of SquareWear to charge a lithium battery, which is then bumped to 5V using a boost converter for charging cell phones. 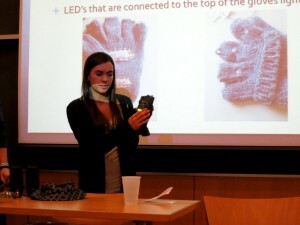 Athena Donta and MJ Lee created the Bad Weather Wear project, which combines a SquareWear, LED matrix, and conductivity sensor onto a pair of mittens. When it rains or snows, the LED matrix displays smileys and different patterns to keep you happy in bad weather. Isn’t that sweet? 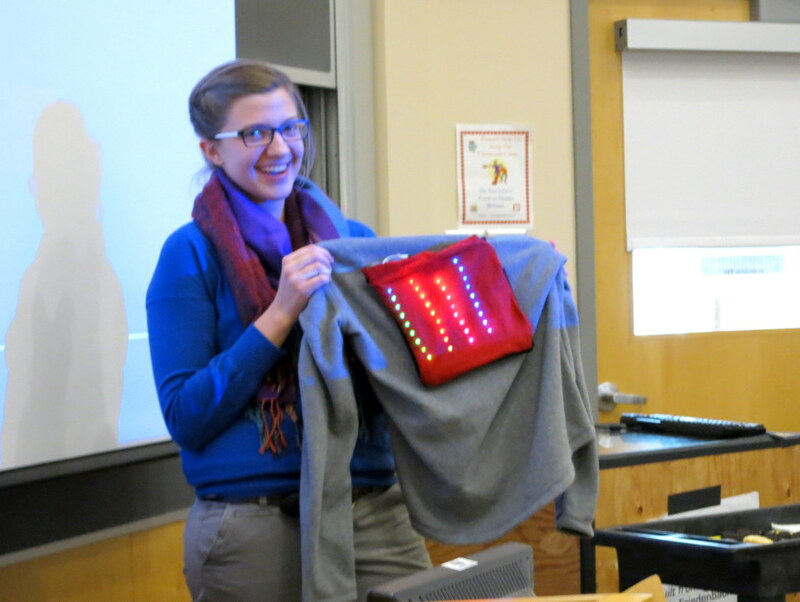 If you are inspired by these projects, consider getting a SquareWear 2.0 from our shop. It’s a great little gadget to help explore the creative and artistic side of you!